CAHF is grateful to its funders and partners for their support. FSD Africa is a £35 million financial sector development programme, or ‘FSD,’ created in 2012 and based in Nairobi. It is funded by the UK Government’s Department for International Development (DFID). FSD Africa aims to reduce poverty across sub-Saharan Africa by building financial markets that are efficient, robust and inclusive. FSD Africa is a market facilitator or catalyst. It applies a combination of resources, expertise and research to address financial market failures and deliver a lasting impact. FSD Africa has a mandate to work across sub-Saharan Africa on issues that relate to both ‘financial inclusion’ and ‘finance for growth.’ FSD Africa is also a regional platform. It fosters collaboration, best practice transfer, economies of scale and coherence between development agencies, donors, financial institutions, practitioners and government entities with a role in financial market development in sub-Saharan Africa. In particular, FSD Africa provides strategic and operational support to the FSD Network. Agence Française de Développement (AFD), is a public development-finance institution that has worked for seventy years to alleviate poverty and foster sustainable development in the developing world and in the French Overseas Provinces. AFD executes the French government’s development aid policies. In 2015, AFD committed over Euros 8.1 billion to finance projects in developing countries and overseas France. AFD operates on four continents via a network of seventy-two field offices and bureaus, including nine in France’s overseas provinces and one in Brussels. The Agency provides financing and support to projects that improve living conditions, boost economic growth, and protect the planet. AFD fulfills its mission with help from its private-sector arm, Proparco. The private sector is an essential link in the development chain because it creates jobs and invigorates economies. The African Union for Housing Finance (AUHF) is an association of forty mortgage banks, building societies, housing corporations and other entities involved in the mobilisation of finances for the development of shelter and housing on the African continent. The AUHF is a non-governmental association and has its presence in sixteen countries across Africa. The National Housing Finance Corporation (NHFC) is one of several Development Finance Institutions (DFIs) created by the South African Government to sustainably improve on the socio-economic challenges of the country. The developmental financial focus of the NHFC is specifically about finding workable models on affordable housing finance for the low- and middle-income target market.The NHFC was established in 1996, by the then National Department of Housing (NDoH), to offer housing finance, project facilitation and technical assistance to private and public entities ensuring availability of housing stock for the target market. As a means of sustaining its funding programs, the NHFC searches for better ways to mobilise finance for affordable housing from sources outside the state in partnership with the broadest range of organisations. The NHFC, in the affordable housing finance market sector, adopts a role of financier, facilitator and innovator, to ensure viable housing finance solutions; growth of sustainable human settlements; and mobilisation of relevant partnerships, through enhanced insights and knowledge gained. 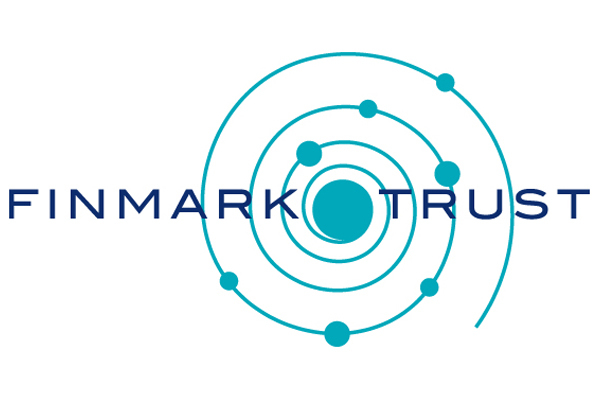 FinMark Trust, an independent trust based in Johannesburg, South Africa, was established in 2002, and is funded primarily by UKaid from the Department for International Development (DFID) through its Southern Africa office. FinMark Trust’s purpose is ‘making financial markets work for the poor, by promoting financial inclusion and regional financial integration’ as well as institutional and organisational development, in order to increase access to financial services for the un-served and undeserved. FinMark Trust commissions research to identify the systemic constraints that prevent financial markets from reaching out to these consumers and by advocating for change on the basis of the research findings.